We're here to make DIY easy, starting with finding the right Ronseal product for the job. 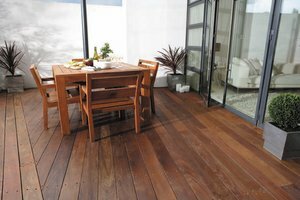 Whether it's protecting your garden wood from the Great British weather or enhancing the wood in your home, we've got it covered. Our aim at Ronseal is always to provide products that meet exactly your requirements; that is why we spend a lot of time listening to what you have to say. We then take that feedback into our R & D Laboratories, and using the very latest technological advancements, we can then deliver innovative new products and the quality service for your DIY and project needs. This is an ongoing process and, coupled with our no-nonsense advertising and marketing, and our extensive consumer education, these innovative new product developments will continue to help us lead our categories, meeting and exceeding your requirements.